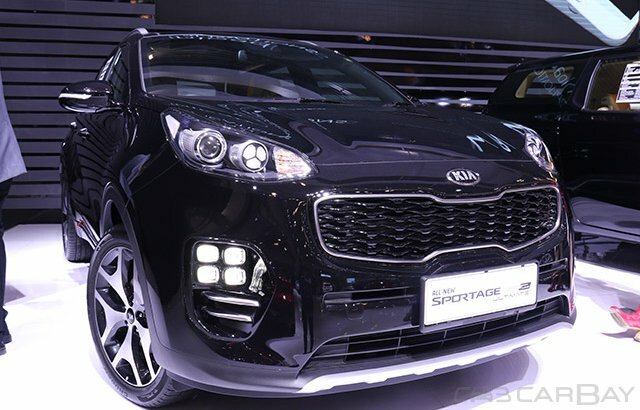 Kia, the South Korean automaker, has brought all new Kia Sportage to the grounds of GIIAS 2016 and guess what, the new model looks more masculine, futuristic and attractive. The fourth generation Kia Sportage is more aggressive and swanky, thanks to its revised styling and tweaked features. The drive now flaunts a new and broader front grille in the Kia signature Tiger nose design. The face is further complemented with stylish headlamps which are rather expanded. The cabin is also packed with sporty and elegant features to offer the best of comfort and convenience to the occupants. A 2.0-litre power-mill is plotted under the striking hood of this drive which gives it enough power to deliver thrilling drives. You get a maximum power worth 183 hp along with equally good maximum torque showing 402 Nm. Mated with 6-speed automatic transmission, this drive shows its efficiency on all terrains. This drive is available at a starting price of PhP 1.445 million for the Filipino customers. 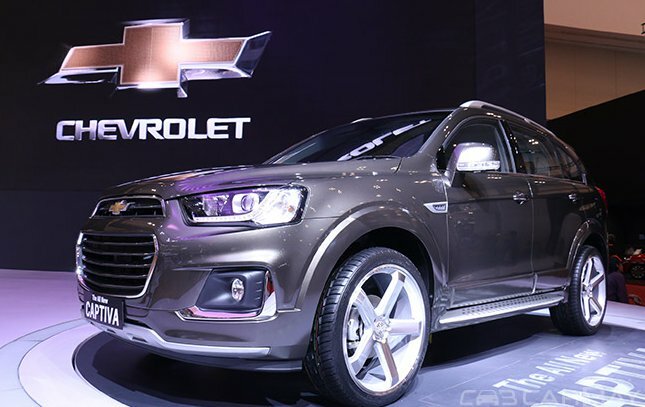 This American compact SUV is keeping the visitors and Chevy Indonesia employees busy since the inauguration of the GIIAS 2016. With a seating capacity for 7 passengers, this swanky SUV is blessed with numerous hi-tech features within. The newest version of Captiva has been given some advancements and modifications at the headlights, front bumper, and foglamps. The modified large front radiator grille with boomerang DRLs and projectors create an impressive front face for this drive. The interior is no different and carries a sporty and captivating areas with various advanced features. This drive is in competition with Toyota Fortuner and gives it a tough fight with its 2.0-litre and 2.4-litre engines under the hood. The Filipinos can own this drive at a starting price of PhP 1.314 million which is pretty competitive in its class and worth all the money keeping the features in mind. 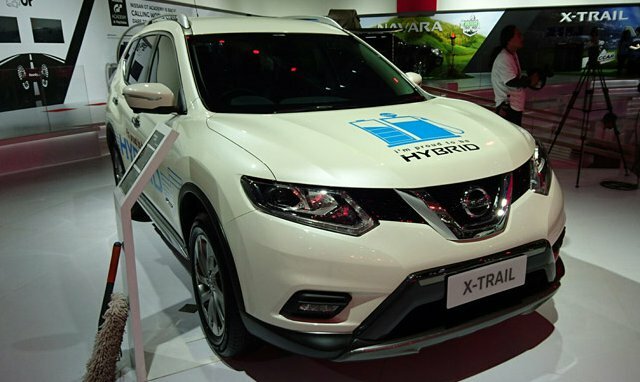 Another drive which has stolen the hearts of the auto enthusiasts at the GIIAS 2016 is Nissan X-Trail. This mid-size crossover is already available in the Philippines and counted amongst the most wanted cars in its segment. With a wide front radiator grille which merges well with the stylish headlights, this drive is creating a buzz all around. Surely, its robust stance and pronounced fenders are another features which make it worth a purchase. Along with this structural aspects, the new Nissan X-Trail is packed with equally impressive features at the interior which make it a desireable drive all across the globe. This Nissan baby comes with a choice of 2.0-litre and 2.5-litre engines which surely deliver the power which is expected by the occupants. The price for Nissan X-Trail is PhP 1.375 million which falls for the base trim. With Kia, Hyundai is also present at the GIIAS 2016 and just like older times, this South Korean drive has displayed some really impressive drives from its fleet including Santa Fe. This drive is already available in the Philippines and is selling like free hotcakes in the country. The trapezoidal front radiator grille of this Hyundai drive along with its sharp headlamps make the entire front look really impressive and swanky. The sides and rear are well creased to give an impression of an SUV instead of a crossover. The cabin is rather more sporty and well- designed keeping the interest and comfort of the occupants in mind. With advanced features in hand, this Hyundai drive is powered by a 2.2-litre engine knocking out 194 hp of peak power along with 437 Nm of peak torque. The said Hyundai drive can be all yours at a starting price of PhP 1.568 million which is for the base variant.